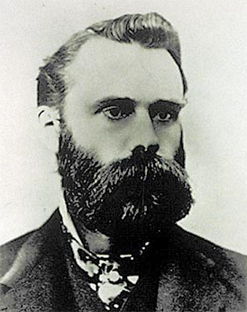 After working for some years as financial reporters Charles Dow and Edward Jones formed Dow, Jones & Company in 1882 to put out their own ideal business journal. The company was initially located in the basement of a candy shop. Within a year it was putting out the Customer's Afternoon Letter a two page summary of the daily financial news. This small affair would eventually become The Wall Street Journal. Soon Dow dropped all the non-railroad companies from this average and formed a seperate stock average for industrial companies. He called it the Dow Jones Industrial Average.